Remember why I built it? .. no? .. Me neither. @jammy might know the tubing details but its Columbus something, pretty light and modern. Its 53cm high stack geometry, fitted me fine at 170cm with 81cm inseam. I recently took it to Winston to get bottle cage bosses and rear brake cable stops brazed on. It needs a re-spray/powdercoat. I live very close to Mario Vaz. It takes mid-reach rear brake and a normal reach front. I can post the small things at buyers cost. I will give preference to buyers who can collect from London zone 1/2. Was that the special edition proto Dart we did man? Can I has bar and stem without seatpost? I'll take the levers please. They would need posting but I am in no rush. 2nd dibs levers in case 1st falls through. How much for the whole lot? Rest available, if you can collect i can do everything for £450. 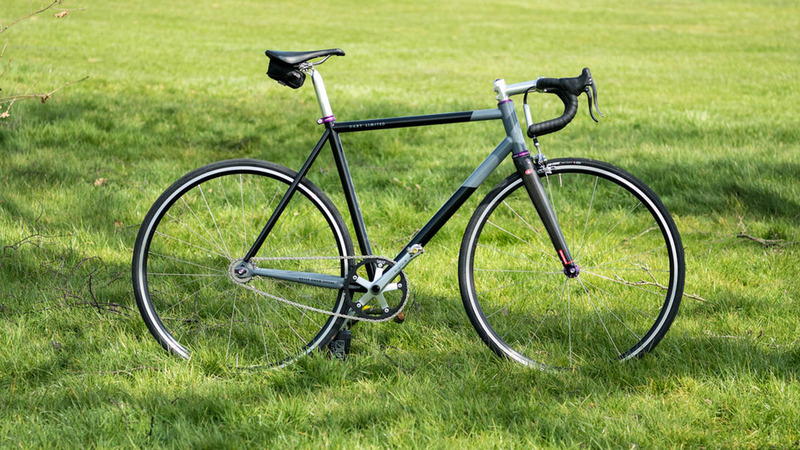 Urgh, really only interested in the forks and cranks but i'm tempted by the package. What's the steerer and crank arm length? Wheels included? Ha, just found the spec on those wheel so i'm guessing not! Has DBAD been sold yet? Do you know the stack / reach measurements? no but I'll measure up the usual measurements tomorrow, I'll see if I can find some online calculator. Its an anomaly in the sea of long and low fixie frames. Thanks. Interested if the numbers come up good. Ah, too small for me sadly. This is a great deal but i've convinced myself to stick with the Capo so i'm out, GLWS. I have a 55cm Dart V2 frame only for sale at the mo. Won't link it here but you'll find it on evilbay easily enough. Collection only though from Bristol. PM if interested.